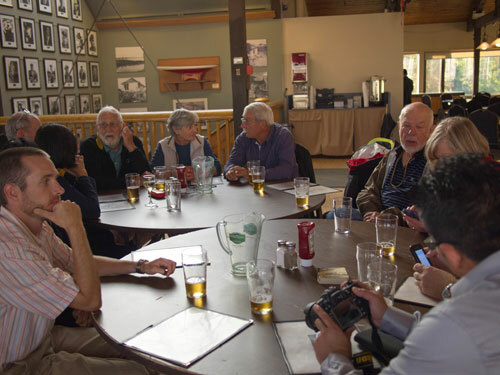 When a sail-in meet-up of the Lake Ontario Contessa 26 Association at Ashbridges Bay Yacht Club was suggested for this past weekend, nobody realized it could rain so much. In fact, we set a record for the GTA as the rainiest September 8th in recorded history! As many as ten boats were expected, from as far afield as Hamilton and Pickering. As the week wore on, the weather forecast for Saturday slowly went off. As of Friday evening, Environment Canada was calling for winds gusting as high as 35 knots, and waves from one to three meters. Some might (and did!) call that Contessa weather. Others were perhaps a bit more prudently cautious. At sunrise on Saturday morning, it was raining in buckets across the GTA. There wasn't a lot of wind to speak of, but the precipitation was incredible. Last-minute phone calls were made, hurried emails sent in order to rethink the meeting time and method. Most decided not to sail, given the rain and the imposing forecast. 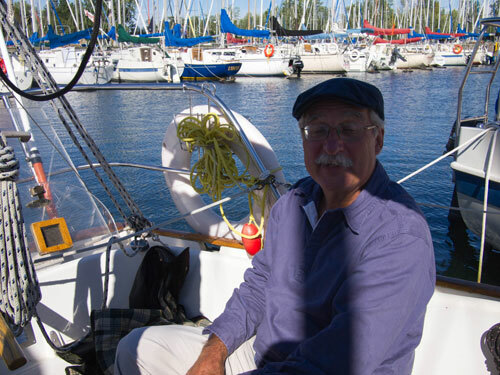 None of which was going to stop Bastian, who sailed from Pickering to Ashbrides Bay. Mostly sailed. Had the sails up, anyway. He arrived a few hours after he left, very wet but safe and triumphant. His opinion of the weather? "Unpredictable. Waves about 2 feet." 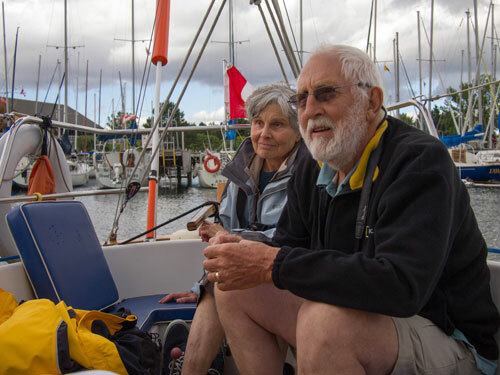 John and Lesley had arrived on Free 'n' Easy the day before, in largely pleasant conditions, though Lesley did note that the mid-ship hatch was leaking. 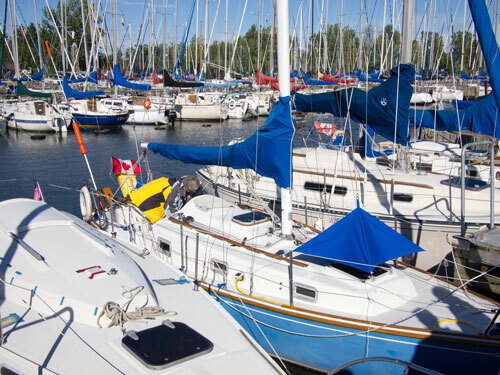 Along with Abbey Rode, which was already at home at ABYC, three Contessa 26's were in attendance. Oliver and I arrived at roughly 3pm and joined John, Lesley and Jann, who were already in the dining room waiting for the rest of us. Bastian had gone over to get his gas can filled up, and would join us shortly after that. George, Jose and John W arrived, and we sat down for a brief lunch and to await the remainder of attendees. Eventually there were 13 of us: George and Kathy, Bastian, Jann and Tiina, Jose, John W, Oliver, Jordan and Feng, John and Lesley, and of course myself. 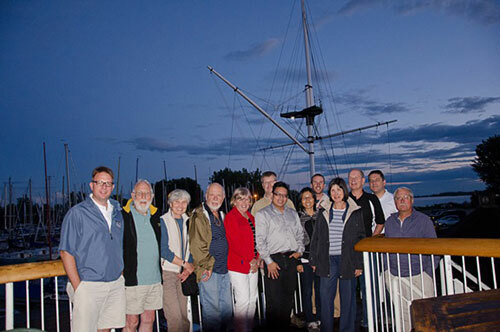 Once we had all arrived, and those who decided to eat lunch at the Club had finished, it was time for boat tours! Thankfully it had stopped raining, though the wind had picked up a bit by this point. This was really the meat of this Contessa meet-up for me. 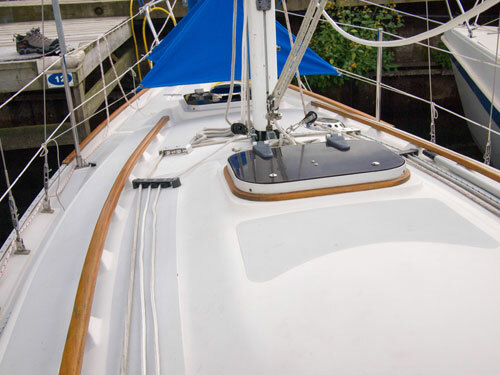 I owned a Contessa 26, but foolishly sold her almost seven years ago. And have been regretting that decision ever since. I'm finally in the market for a boat again, and I wanted to see if reality would meet with the images I had in my head. I also wanted to make sure that the boat would meet my needs. Though we didn't quite make it to ten boats, we had three specimens to inspect, which is a lot more than none. Since it was the first on the way, we started at Jaan and Tiina's Abbey Rode. Abbey Rode is a 70s era JJ Taylor Contessa 26. She's in lovely shape. Jaan gave us the tour, at at one point, there were enough of us on board that the cockpit sole was below water-level! Still, Contessa 26's can accommodate a surprising number of people, as long as the boat's at dock and everyone's sitting down. 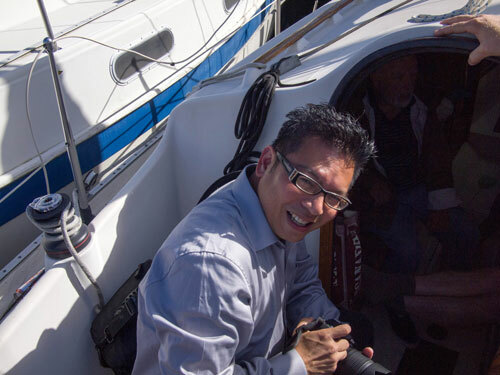 It was the first time I had been aboard a Contessa since I sold. Next up was Free 'n' Easy, belonging to John and Lesley. Free 'n' Easy is a late-model JJ Taylor Contessa 26. She is in excellent condition, and very obviously cared for. Many stayed on Jaan's boat for some extra talk and explanation, so the cockpit stayed reasonably dry during this visit. Still, there were six people aboard her at one point. I took a seat on the starboard side of the cockpit and leaned on the tiller. 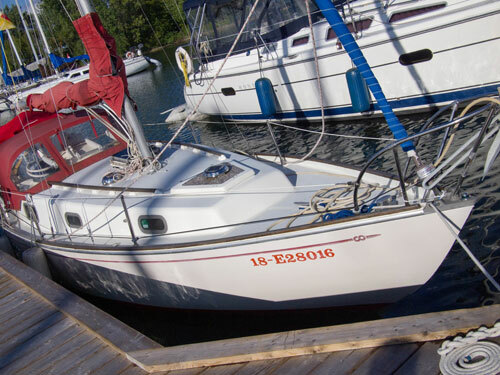 Free 'n' Easy is so similar to the Contessa 26 I owned that I had a strange sense of deja vu. Even more, I totally felt like I had come 'home'. 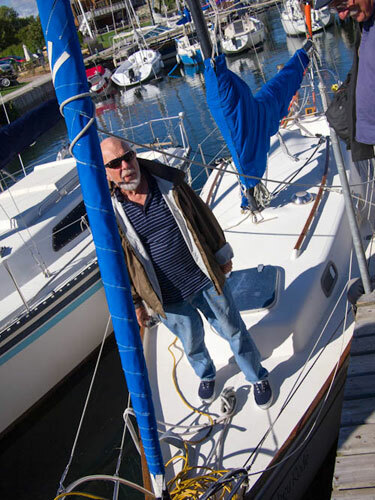 Being on Free 'n' Easy hardened my resolve to once again own a Contessa 26. Last up was Bastian's boat, a 70s era Contessa 26 which I embarrassingly don't have a name for! This boat was, by far, the most unique Contessa 26 I have been in to date. 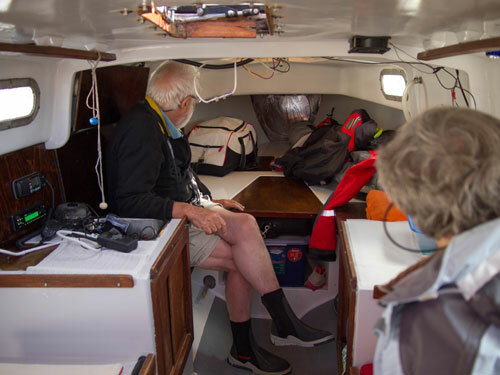 Because Bastian has removed all four bulkheads, the boat feels incredibly spacious and open. 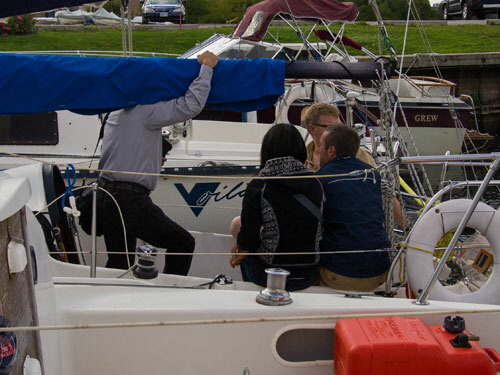 While privacy for use of the head might be an issue, it is undeniably a roomy feeling boat. 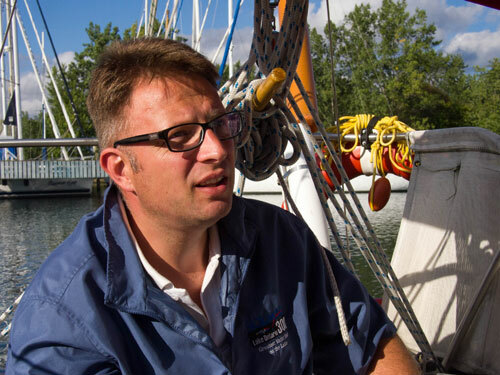 Shortly after I came aboard, George hopped down below and started a heated debate with Bastian about compression from the mast, and Bastian's slowly buckling headliner. I think eventually Bastian came up with some interesting ideas involving posts instead of full bulkheads.This will definitely be a boat to watch. Thankfully the rain had held off to this point, but we had obviously pushed its limits, since it finally started to sprinkle. We all made our way back to the dining room for dinner. There was good food, excellent company, and beer. There was some iced tea, and some wine as well. We talked and got to know each other. We talked boats, and racing, and origins, and experiences, and passed a very pleasant evening in excellent company. We even managed to get a group shot. 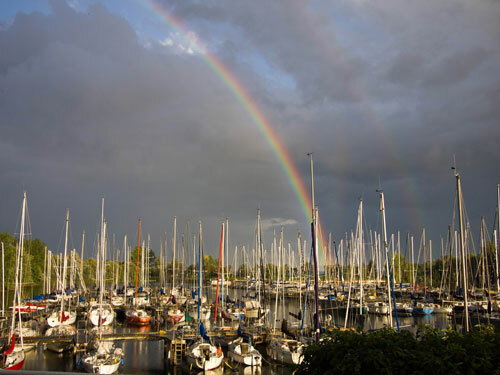 Near sunset, a spectacular series of rainbows (3, one for each boat!) made an appearance in the evening sun, proving without a doubt that Contessa's are, indeed, the pot of gold at the end of the rainbow.